Our pellets are flavored with molasses, which enhances taste naturally and improves the acceptance of pellets when finicky “seed junkies” are converted to a healthy diet. They are perfectly sized for your parrot to crumble up and can be offered as a full meal or as an important part of your bird’s diet. 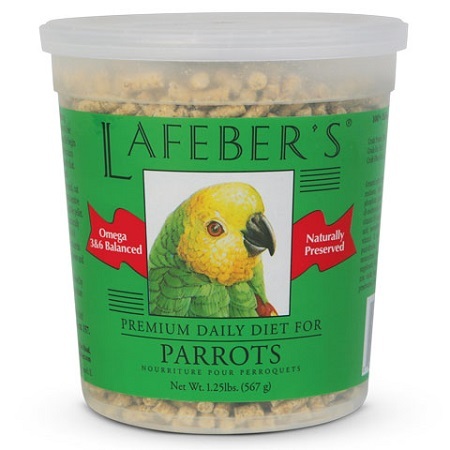 Many parrot owners have found that their birds love a combination of foods along with their pellets, such as Nutri-Berries and various fruits and vegetables.